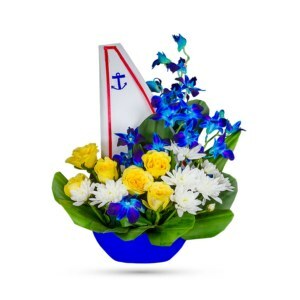 Brighten up a room or a table, send or get well wishes, or simply sprinkle sunshine on someone’s day with our summer flower arrangement, Bon Voyage. Classic yellow carnations combine with warm yellow/ orange gerberas in a captivating petite white carriage. 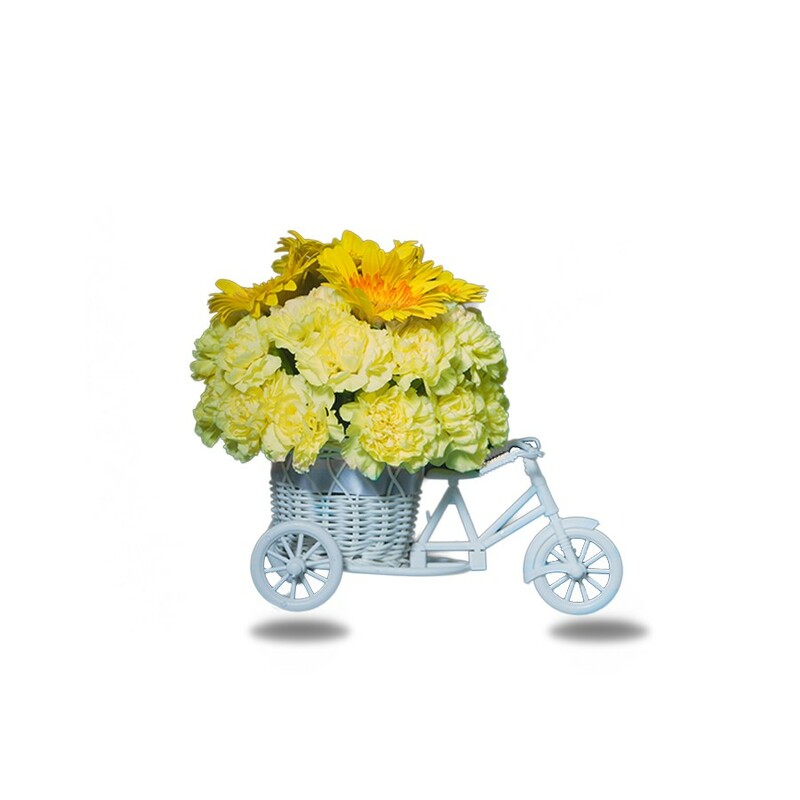 The lovely carriage will act as a keep-sake piece for the years to come. 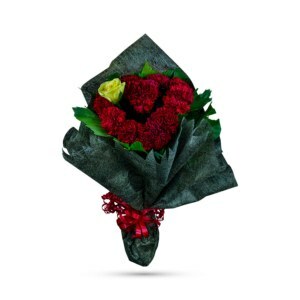 Surprise your mother, or your best-friend or your colleague or anyone you want to wish a happy life journey ahead with our rustic arrangement which will adorn their table. 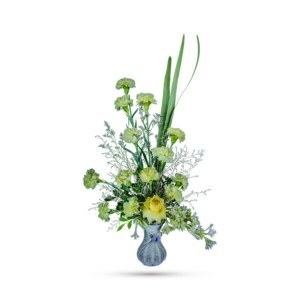 This bouquet will also give them a ride down the memory lane with all the good times they had with you. 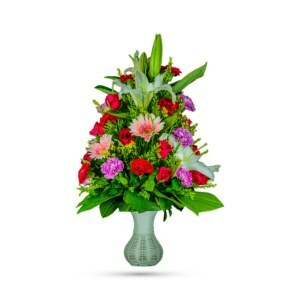 This floral arrangement is available on our website, and is simply a click away for the home delivery of your gift.